Selling subscriptions and collecting recurring revenue via Shopify just got a lot easier! While Shopify is an amazing commerce platform allowing anyone to start and scale an online business, it is geared towards selling one-time purchases and not subscriptions. Until January of 2016, Chargify offered a Shopify app that has helped hundreds of entrepreneurs build successful businesses managing millions in recurring revenue. The decision to deprecate Chargify’s Shopify app* was not an easy one, but we did it to make way for something bigger and better. * Note: Existing customers using the deprecated app will not be affected and can continue to use it without interruption. If you are interested in migrating to the newer app, we provide step-by-step instructions below. Chargify partnered with Shopify app extraordinaires eShopAdmin to improve the existing “Chargify Accounts” app. Since their team specializes in Shopify apps and has a deep understanding of Chargify, they are able to build and maintain a more seamless app that bridges the two platforms. eShopAdmin’s product reviews are a testament to the quality of their apps. The updated “Chargify Accounts” app includes features and functionality that were requested but not available in Chargify’s previous app. 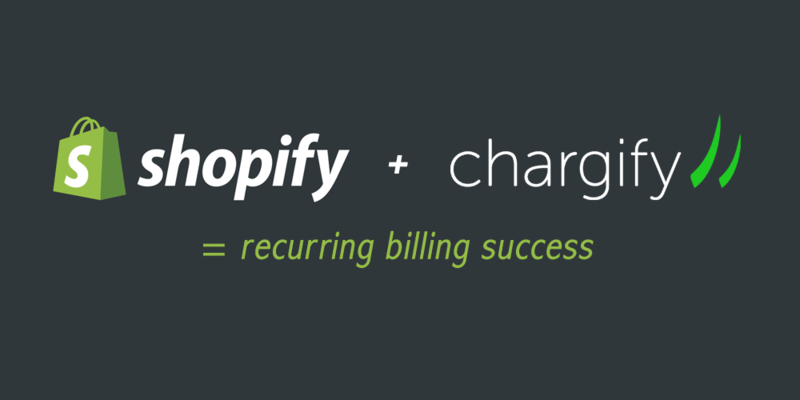 We believe the improved functionality will help Chargify customers achieve no-fuss, recurring billing succes. Check out the new app here. Sync & Publish Products: Quickly create your products/plans in Chargify and then sync them to your Shopify store. You’ll be ready to sell subscriptions in no time. Automate Workflows: When renewals or new subscriptions occur, the orders are automatically created in Shopify. You don’t have to do a thing. Free Customer Service Resources: Your customers can see a list of their subscriptions within their account and stay up-to-date on their subscription status. The self-service option also allows them to cancel if desired. You free up your customer service resources and your subscribers enjoy a simple and convenient user experience. Breakdown Add-Ons: If you use Chargify components for add-on options, the product and individual components will display as line-items. This makes fulfilling orders much more intuitive. For example, if you sell a monthly chocolate subscription but have the option to add a speciality bar each month. Double yum! Customize Order Naming: You can specify any prefix for the name of the Shopify order. In addition, it will use the Chargify unique SubscriptionID with “signup,” “renewal,” etc., to make identifying order quick and convenient. The team also plans to add the following features based on user demand. If you have any additional questions or requests, please reach out to chargify-accounts@eshopadmin.com. Sync your customer. The Chargify Accounts app gives you the option to sync customers manually or sync all customers. If you’re just starting out and want to build a subscription-based business on Shopify, you can be up-and-running in an hour. Sign up for Chargify > sign up for Shopify > install the Chargify Accounts Shopify app > create and sync your products > start selling and earning recurring revenue! Please note that Chargify is not affiliated with eShopAdmin, and eShopAdmin is a registered trademark of eShopAdmin, Inc.